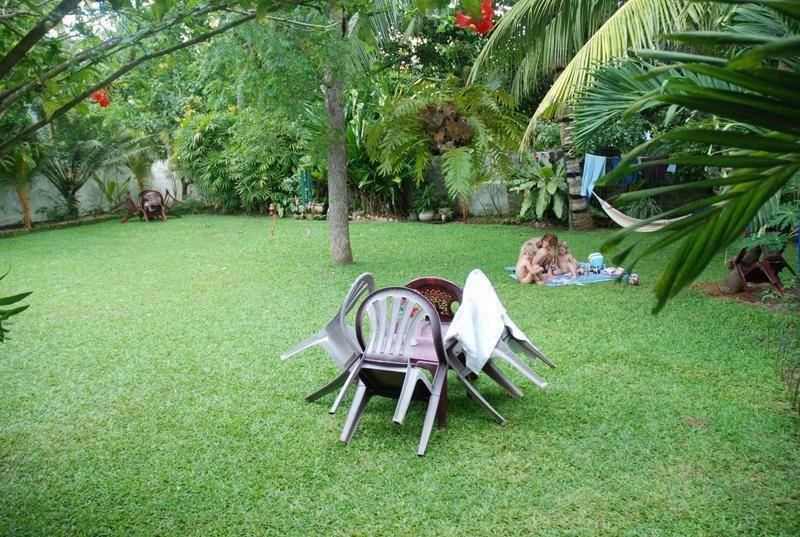 This home stay style Sri Lankan guest house run by an experienced hotelier, who is well known for great customer service. Our friendly and relaxing atmosphere offer travelers a unique travel experience. At Mihin Villa Bentota, We are dedicated to make your stay a memorable experience. 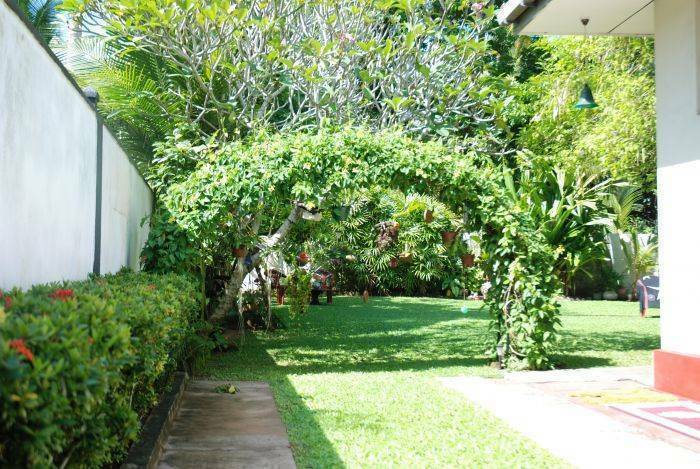 Enjoy budget and middle-range accommodation in style at Mihin Villa Bentota. Our premises is extremely clean and well maintained to ensure the high quality standard. 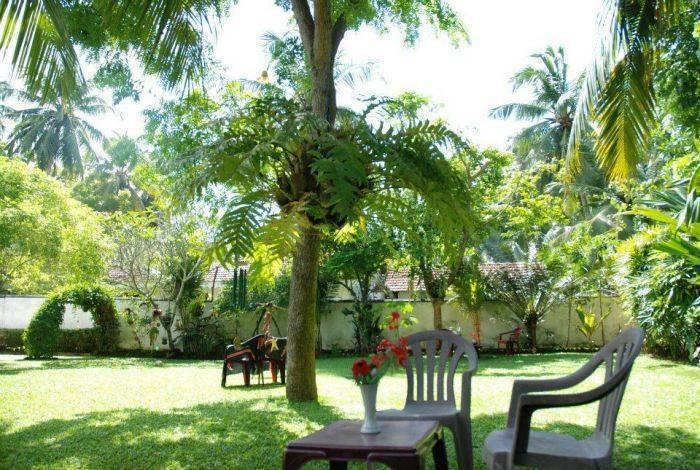 Mihin Villa is located in small coastal town of Bentota in Galle district in Sri Lanka. Bentota is a famous tourist destination among foreign and domestic travelers. Therefore we are fortunate to serve you while you are in Bentota. Free transport available for some of the above attractions. Family Triple bedroom - One double and a single bed will accommodate three adults or two adults with two kids. This room is Air-Conditioned and the hot water supply is connected. In this fully furnished room we have mosquito nets and a ceiling fan also fitted. Standard Double bedroom with AC & Hot water - Two single beds can be used as a double bed or twin share as you prefer. Perfect for a couple or two friends to share. 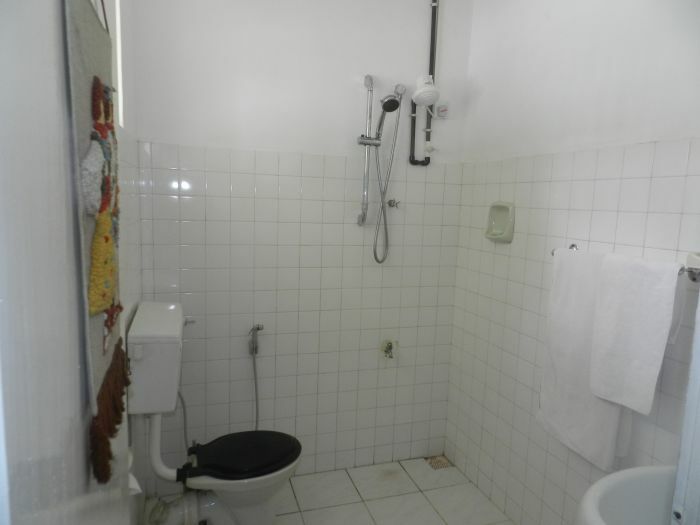 This room is Air-Conditioned and the hot water supply is connected. 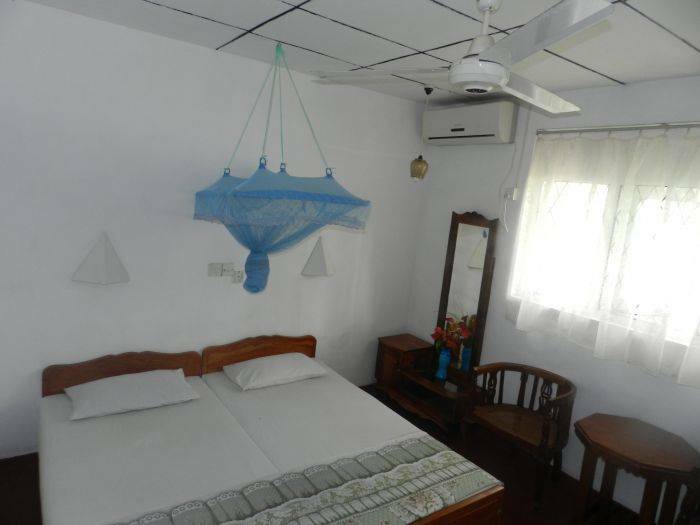 In this fully furnished room we have a mosquito net and a ceiling fan fitted. Standard Double bedroom - Two single beds can be used as a double bed or twin share as you prefer. Perfect for a couple or two friends to share. In this fully furnished room we have a mosquito net and a ceiling fan fitted. Breakfast is included on room rate. We offer you a free dinner on a selected night when you stay for four or more nights. We do have a one day cancellation policy. If you require to cancel your booking, please let us know as soon as possible. Please beware of some dodgy taxi drivers who try to take you to other locations. Mihin Villa is located on 2. 6 KMs away from Aluthgama city center and 1 KM away from small Bentota town. No. 204/02, Galle Road Robolgoda, Bentota. 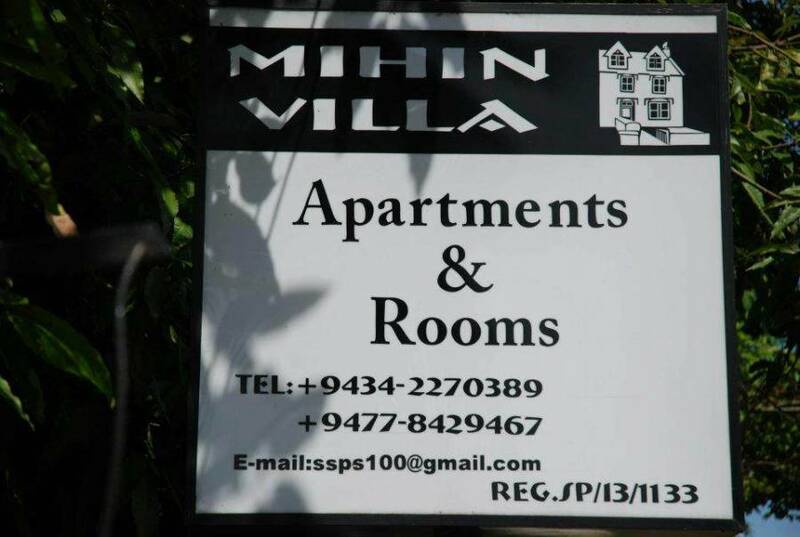 Our 'Mihin Villa' sign board is clearly visible to the front. The closest hotel is Amal Villa Apartments and Rooms. We are only 3 houses after them and closer to the local mask factory. If you catch public transport to Aluthgama city, it is a 10 minute tuk tuk ride to Mihin Villa Bentota. Local bus stop is located around us.